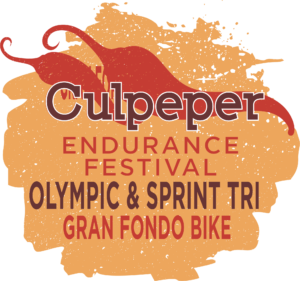 The 2019 Culpeper Triathlon has been postponed to 2020. The Gran Fondo is still on and we look forward to a fantastic ride this year! Weather related construction delays mean the lake will be kept about half full until construction is complete sometime this fall. If you are registered you will be contacted via email about your options. The 32 Mile Gran Fondo is a short introduction to the wonderful cycling that is available in Culpeper County. After leaving our staging area at Mountain Run Lake Park this ride follows the first 10 miles of the 62 & 100 Mile routes before turning SW on Oakland to do an additional loop. This route is rolling with several good hills and one long climb from 15.3-17.2 (275′). There is a total of 1670′ of climbing with access to 3 aid stations along the way. The route is very rural and affords beautiful vistas of rolling farmland framed against the backdrop of the Blue Ridge Mountains. This ride starts at 7:30 AM. The metric century is a beautiful ride that highlights the epic valleys and mountain views of Culpeper and Madison Counties. Starting out at Mountain Run Lake Park riders head NW towards Madison County and ride along the base of Old Rag, one of the best hikes in the Virginia. You’ll have a short (or long) stop at the award winning DuCard Vineyard just prior to the largest climb of the ride (21.6-25.3 with 380′ of elevation). The riding is fantastic as you descend from mile 25.3 into the town of Syria (home to great trout fishing, hiking and an apple festival). Leaving Syria you’ll ride along the Rose River to your next aid station overlooking the Hebron Valley Road. The metric century’s only out and back section showcases great valley views on mostly flat roads prior to the turnaround and a short distance to hook into the 32 mile course to finish the day. The metric century features a total of 3400′ of climbing and 5 aid stations along the route. The century route has all the features of the 32 and 62 mile routes above with additional mileage in Madison County south of Rt. 29. After crossing 29 (at the only stoplight on the route) riders weave through rolling farmland and wind along narrow country lanes. Scenic views of the Blue Ridge Mountains and country estates abound. The riding from miles 42-75 is more farmland than forest and cannot be beat. After crossing 29 again riders merge into the metric century route to finish out their day. There is a total of 5800′ of climbing and 6 aid stations along the route. Aid Stations: There are 5 aid stations located throughout the course. Note: All mileage above is in relation to the 100 mile route. All stations will have water, Gatorade, Coke, fruit, granola bars, PB&J sandwiches, porta johns, smiles, laughter, basic tools, bike pumps, bad jokes and tired cyclists. The race takes place at Mountain Run Lake Park nestled at the base of the Blue Ridge Mountains. Swim Course: The Olympic swim course is a one loop 1.5K course and exits into a very unique transition area that is the Culpeper Triathlon. The transition area and finish line are in a bowl surrounded by banked seating on either side. The course will have yellow buoys for the turns and orange sighting buoys every 75 meters or so. We expect the water at this time of year to be around 80-82F, so it is not likely to be wetsuit legal. A temperature reading will be taken and posted the Friday morning prior to the event. Bike Course: The Olympic bike course is a beautiful, but challenging course. The ride is mainly on well paved, low traffic roads with views of beautiful farmland and the Blue Ridge Mountains throughout. You’ll see plenty of wildlife and maybe even a black bear on your travels through the countryside. This is not a PR course as it has a few short, steep climbs and technical descents. Even with the technical sections, it still has plenty of beautiful straightaways to get in your big ring and go aero. Please note, at Mile 7 the Olympic Bike course turns left on Duncan Trail while Sprint athletes will stay straight on Reva. Lastly, be sure to gear appropriately for the first turn out of the park and the approach back to the dismount line! Run Course: The Olympic run course is a 2 loop, out and back course. The run course leaves transition on Mountain Run Lake Road and has 2 loops down local side roads (Montelago and Mountain Run Lane) to get the appropriate distance. The run is not unlike the bike course in that it is not flat, but it is a lot of fun and the views of the lake and race site framed against the Blue Ridge Mountains are amazing. Aid stations are located about every mile and will offer ice water and Gatorade. Swim Course: Athletes will swim a one loop 750 meter course and exit into the unique transition area that is the Culpeper Triathlon. The transition area and finish line are in a bowl surrounded by banked seating on either side. The course will have yellow buoys for the turns and orange sighting buoys every 75 meters or so. We expect the water at this time of year to be around 80-82F, so it is not likely to be a wetsuit legal swim. A temperature reading will be taken and posted the Friday morning prior to the event. Bike Course: The Sprint bike course is a beautiful, but challenging course. The ride is on well paved, low traffic roads with views of beautiful farmland and the Blue Ridge Mountains throughout. You’ll see plenty of wildlife and maybe even a black bear on your travels through the countryside. This is not a PR course as it has a few short, steep climbs and technical descents. Even with the technical sections, it still has plenty of beautiful straightaways to get in your big ring and go aero. Please note, at Mile 7 the Olympic Bike course turns left on Duncan Trail, Sprint athletes will stay straight on Reva. Lastly, be sure to gear appropriately for the first turn out of the park and the approach back to the dismount line! Run Course: The Sprint run course is a one loop, out and back course. The run course leaves transition on Mountain Run Lake Road and has 2 loops down local side roads (Montelago and Mountain Run Lane) to get the appropriate distance. The run is not unlike the bike course in that it is definitely not flat, but it is a lot of fun and the views of the lake and race site framed against the Blue Ridge Mountains are amazing. Aid stations are located about every mile and will offer ice water and Gatorade. Other categories available for the triathlon are Age Group, Aquabike, Relay Teams, Clydesdale, Master’s Clydesdale, Athena, Military, Collegiate, High School and Novice. All categories are scored 3 deep. These events features a Tri-Blend Crew Style T-shirts, Custom Race Socks, Finisher’s Medals (Triathlon), Gran Fondo finishers will receive a unique gift at the finish, Professional DJ, Bounce House and a post race meal. 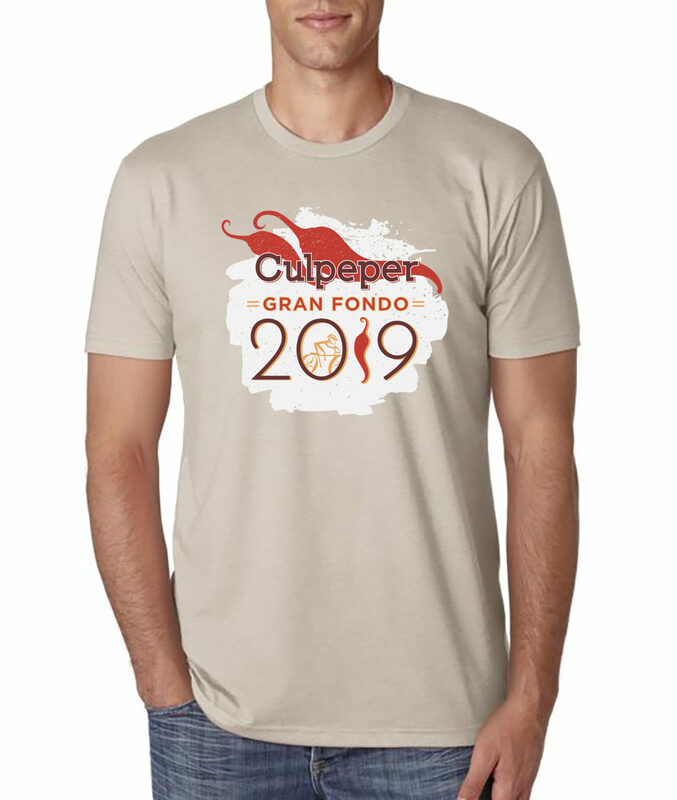 All registered cyclists get the following: finishers gift, short sleeve tri-blend shirt, custom ride socks, well supported and well stocked stations on the route and access to the post ride party with BBQ and ice cold refreshments. All Kinetic Multisports races/ride registrations are non-refundable. There are however options for race registration insurance and a one time deferral. Visit our FAQ’s for more details. Mountain Run Winery is proud to partner with Kinetic Multisports once again to offer camping at their winery on Friday and Saturday night before the Ride/Race. Please consider making a donation to the Eastern View Field Hockey Team for all the hard work they have done for this event since 2005.